My name is Marc Beaudet, Senior Leasing Consultant at Dexter Park Apartments in Brookline. I recently purchased an apartment in Brookline and Kemco Floors, Inc. renovated my hardwood floors. Because they do the hardwood floors in Dexter Park Apartments, I knew what an amazing quality of work they can do. I was even more impressed with how they transformed my apartment. They are serious, professional and provide superior services. As an Interior Designer, I can say without hesitation that it is a pleasure to work with Kemco Floors, Inc.
Their estimates reflect good value for your dollar, and respect for your budget. The quality of their work is excellent whether they are refinishing existing floors, or installing new. 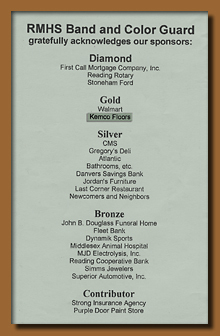 I have referred Kemco Floors, Inc. to my clients with confidence knowing that they are honest, will be at the job when they say, will complete the job on time, and the results are never disappointing. I have known Kemo Colakhodzic and his Company for manu years. I used to have a large Colonial house with beautiful antique floors, and in several occasions Kemo repaired and refinished the floors. Specially after a bad water damage and also when I was selling my house, he redid all the second floor. He refinished all the floors in my new house, and even replaced missing pieces and in some rooms added new floors. The quality of his work is truly superior. The old oak floors in my new house looked superb. He is well known for his sense of perfection and for attending to all the smallest details. He is honest and reliable. He always starts and finishes his work in time. He is always ready to back up his work. I am very pleased to give him my highest recommendation.